Know the power of Instagram influencers, but don’t know how to get started? Finding an Instagram influencer to promote your brand or product is an excellent way to utilise word-of-mouth marketing in the modern day. Unfortunately, knowing how to find Instagram influencers can be a challenging process. But don’t worry! With this guide, you’ll be a pro in no time at all! What is an influencer and why should they be part of your marketing strategy? So, what exactly is a social media influencer? An influencer is someone who has a significant group of loyal followers within a specific niche or sector. People are more receptive to endorsements from people they admire, which is what makes influencer marketing so effective. In this digital age, social media influencers are increasingly outranking celebrities in the effective promotion of products and services. Influencers can also help companies to engage with specific niches that may have previously been more difficult to specifically target. Influencer marketing helps to make brands seem both desirable and accessible. Twitter’s research shows that 49 percent of consumers seek advice from social media influencers before making a purchase, and 20 percent said that a Tweet from an influencer led them to share their own product reviews. 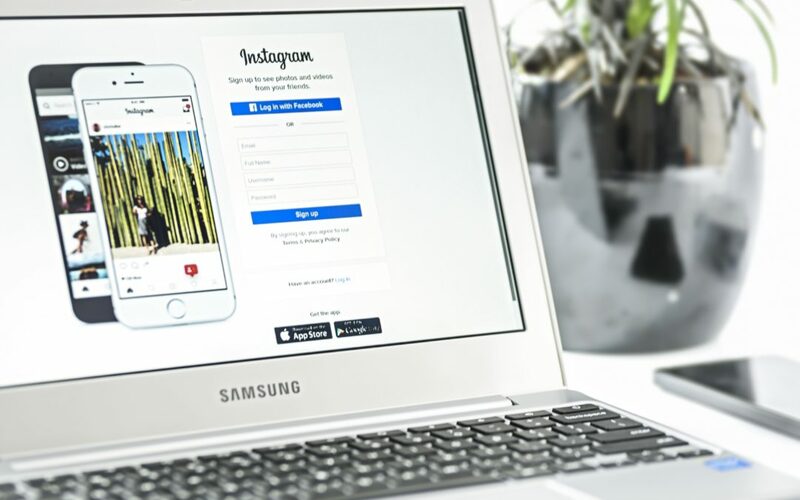 Instagram has over 800 million monthly active users and is rapidly expanding at a faster rate than its competitors – Facebook, Pinterest and Twitter. 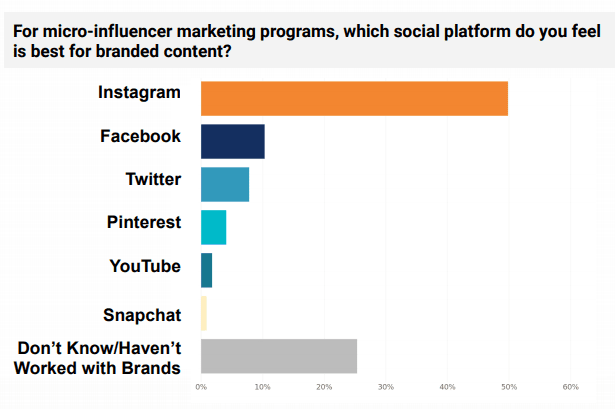 Leading social media influencers show a preference for Instagram, as the focus on high-quality images and video lends itself well to product reviews and promotions. According to Mediakix, the top 50 most followed influencers on Instagram have 2.5 billion followers in total and in 2017 over £719 million was spent on Instagram influencers, a number that is expected to rise to over £1Bn in 2018. Clearly there is phenomenal marketing power to be leveraged through the use of influencers on Instagram in particular. It’s important that you select the right influencer who will fit in well with your brand and your marketing message to ensure you are getting the most out of this form of marketing. Relevance – check that the influencer is producing content that is in keeping with what your business stands for. Reach – take a look at the number of people you might be able to reach through a particular influencer. Resonance – find out to what degree the influencer’s content is engaging their audience. Think about the audience that you are trying to attract, and only use an influencer that this target demographic will trust. Once you’ve identified the sort of influencer you would like to connect with, how do you go about finding the right influencer? Using Instagram’s hashtag search you can look for locations, keywords and topics related to your business niche. This enables you to browse posts and look for those who are publishing the most relevant, attractive and well-received content in your industry area. You can also use Google, or influencer search tools like Kred, Klout, Traackr, Followerwonk or Buzzsumo to find suitable influencers you may wish to work with. Number of followers – keep an eye on the number of followers an Instagram user has. If you find excellent content but no one is following the account and few people are engaging with the content, they will not provide your company with the audience you are looking for. Bigger isn’t always better – finding an Instagrammer with a huge number of followers is useless if no one is paying attention. A smaller follower account can be powerful if the followers are engaging well through likes and comments. An influencer with over 1 million followers will be expensive and can appear to be a less authentic way of introducing your brand. The recommended follower target for those starting out with influencer marketing is 10-50K as these influencers usually charge less than £250 per post or will accept free products in exchange for their promotion. Explore influencer networks – once you’ve located a few influencers, find out who these influencers are following. Influencers often build up a network of like-minded users so by examining who your target influencers are following, you will naturally find more Instagrammers who you may wish to contact. Once you’ve identified the key influencers who are likely to leverage your marketing message to great effect, how do you encourage them to work with you? First contact – reach out slowly to your influencers. Make your first contact through ‘likes’ and comments on their posts. Make sure you approach them in a genuine way – posting a flurry of likes and comments in a short space of time is unlikely to be received well. Try to make insightful, empathetic or humorous comments (where appropriate) that connect with the particular post you are engaging with. Do this regularly over a significant period of time, such as a month, before messaging them directly. Message – direct messaging (DM) or emailing an influencer after you have spent time engaging with their content can be great way to make contact. Be brief and clear about who you are and what you want and remember to be friendly! Value – creating mutual value through giving influencers something, such as a free trial of your product or service, whether they expect additional payment or not, will help to set a positive tone and helps to build long-term relationships. After building up a relationship with influencers and working with them to promote your business, it’s important that you track the results of these marketing campaigns. Having clearly defined KPIs will help you to focus on what it is you want to track. Using Instagram’s analytics can help you to understand metrics such as engagement rate, reach and growth. You can also use marketing tools such as Buzzsumo to give you an overview of how your influencer posts are performing. Other programmes such as Google Analytics can help to measure impact. A more organic way of tracking your ROI is to provide your influencer with a unique promotional code to use. This will help you track sales that occurred as a direct result of their posts. The best influencer campaigns work through using a combination of promotional posting, cross promoting, takeovers and collaborations (where possible). Promotional posting: where an influencer uses their social media account to promote your business through a post dedicated to whatever it is your business is selling. Cross promotion: where an influencer shares, or re-posts your content across the different social media channels that they are active on. Collaboration: working with an influencer to develop products or services that unite their niche and your brand. 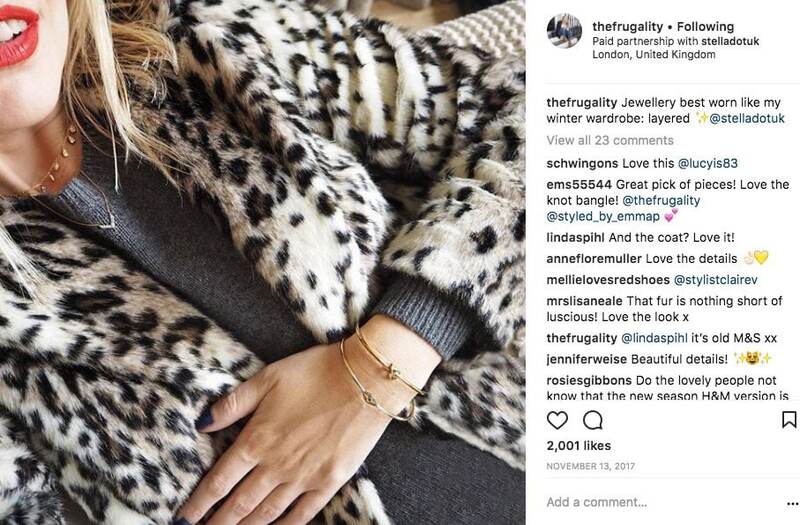 Takeovers: where an influencer ‘takes over’ your company’s social media for the day and uses it to promote your business. This can be particularly effective when influencers take over Instagram stories for the day. Stories can be used in a variety of ways depending on what your company is selling. If you sell a service, the story can be trialling the service for the day. If you are selling a product, the story snippets can be used to show a ‘making of’. Takeovers enable influencers to unite their following and yours, by cross-promoting from their channel to yours, advertising to both sets of followers for the duration of the takeover. 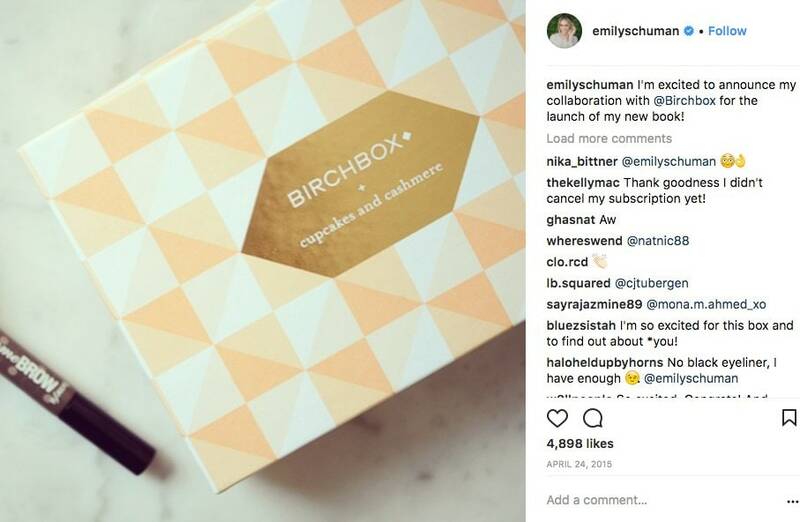 Building a good business relationship with an Instagram influencer can take time, but it is worth it! Studies by TapInfluence have shown that influencer marketing content delivers 11x higher ROI than traditional forms of digital marketing. Why not start now by allocating an hour or two every week engaging with influencers you’ve identified. By increasing your social media presence, you can begin to build trust with both influencers and your target audience.